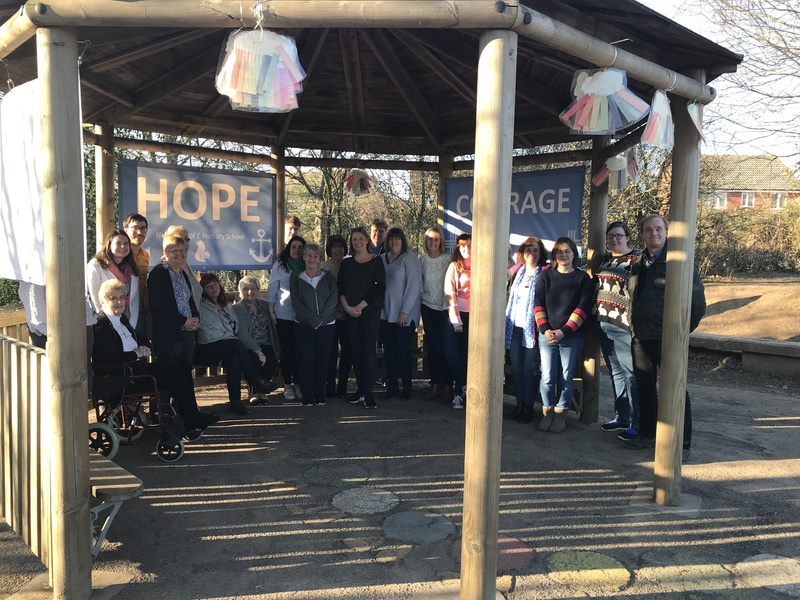 At Nursling Church of England Primary School we are committed to our three values of Love, Hope and Courage. Our values help form our curriculum and collective worship. They are part of everything we do as a school family and as part of our wider community. Please click on the link below for more information on our values. As a Church of England school we gather together for a collective worship every day of the week. This is an important opportunity to develop our pupils’ and staff spiritual, moral, social and cultural thoughts and reflection. Every gathering begins with a liturgy and ends with a prayer. Each one embeds our three Christian values of: Love, Hope and Courage. At different times of the year we walk up to St John’s Church to have a special service. Year 6 have a leavers day at St Boniface Church. Click on the links below to see our most recent events at church. 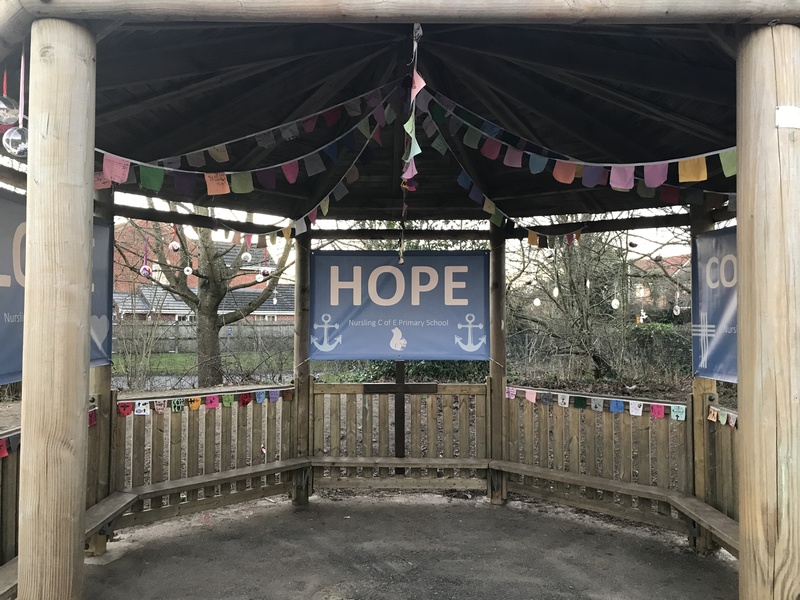 We have been busy turning the gazebo into a spiritual space; somewhere for the children to go to reflect, be peaceful and find friendship. Everyone made a prayer flag. Can you find yours? Our Spiritual Space was blessed by Mr Cole. Click on the link below to see the prayers we say during the school day.